There are many strange events that take place here in the UK that will often pass without our realising. Things that happen year upon year for centuries and by and large go by unnoticed by most of us. Happening this week is an event that actually dates back to the twelfth century and has carried on annually since that time. Yes, now is the time of the year when all of the Queen's swans must be counted. Queen Elizabeth II actually owns all the mute swans in England but generally tends to just keep tabs on the ones on the Thames and the surrounding areas. 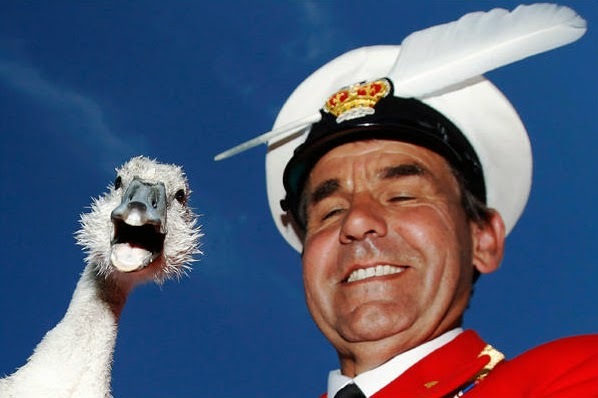 The ritual of counting the sovereign’s swans is known as Swan Upping. The Queen, known as the ‘Seigneur of the Swans’, was at one time the only person allowed to kill and eat swans but now even she is unlikely to dine on them. Apparently they did serve up swan poached with peaches in a recent episode of Game of Thrones. Don't try this recipe at home because even until very recently anyone caught killing a swan could be tried for treason, an offence that could even be punishable by death. That really would be a swan song. So, on with the census. During the Swan Upping celebration, all the swans along the river Thames are rounded up to be measured and tagged before being released back onto the river. By rounding up the babies to be tagged it allows for their breeding habits to be monitored. The counting and recording of information will also be carried out in other counties as well, such as Oxfordshire and Buckinghamshire. The man in charge of the event is David Barber, a professor at the University of Oxford. He holds the title of The Queen's Swan Marker. As the Swan Uppers float along the Thames, should you hear the cry of “all up” you will know that a group of swans has been spotted and the Uppers are getting into position to catch and tag them. When passing Windsor Castle the Uppers toast the Queen. They hail Her Majesty The Queen, Seigneur of the Swans. 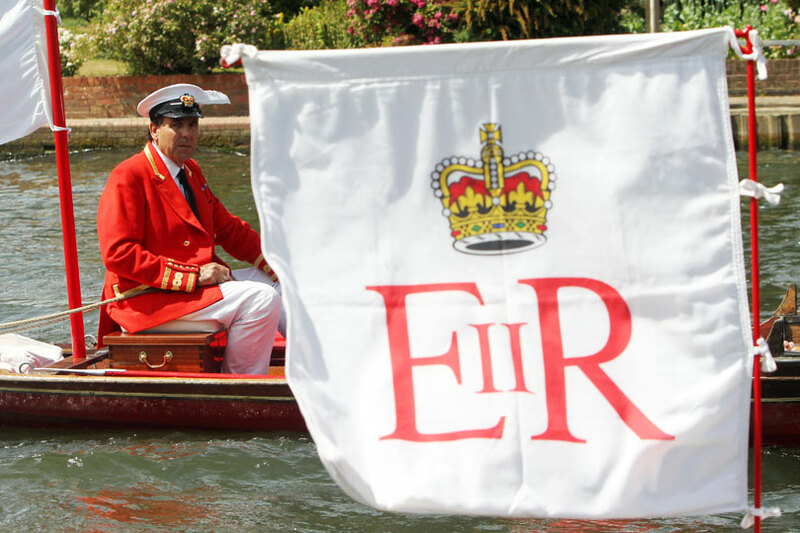 In 2012, the Queen’s Jubilee year, there was no swan upping. It was meant to be part of the diamond jubilee events but owing to flooding the ceremony didn’t take place.This was the first time in 900 years that it had ever been cancelled. So, the counting begins, and the swans can meander down the river blissfully unaware that so many people are involved in their welfare. Corralling the swans and cygnets for tagging.